Spencer was elected as MLA in 2008, 2009 and 2013 and 2017. He previously served as the Official Opposition Critic for Tourism, Arts, Culture, TV and Film & Environment Spokesperson and previously served on BC’s Finance Committee, and also the Independent Police Investigations Unit Oversight Committee and served as the past chair for the Rental Task Force. A strong community activist, he tackles issues head on. Consistently voted Vancouver’s Best MLA by readers of the Georgia Straight, he was also voted Vancouver’s Unsung Hero by the readers of the Westender. Led the successful fight to explicitly protect transgender people in BC’s Human Rights Code. Assisting tenants fighting unfair evictions: Spencer and his constituency staff continue to work with and advocate for tenants facing unfair evictions and massive rent increases. His work has lead to residents of numerous buildings keep their homes, defeat illegal rent hikes, and stop renovictions. Long Term Tenant Protection Act: Spencer’s Private Members Bill, introduced in 2008 and amended in 2010, aimed to end the practice of landlords seeking massive rent increases above the yearly allowable amount, and in turn forcing tenants to leave or pay much higher rent. His work to reduce homelessness led to the founding of Vancouver’s first homelessness preventing Rent Bank. Preventing homophobia in schools: Has consistently pressed the Education Minister to ensure that homophobia and other forms of discrimination are not tolerated in our schools, and that every school district ensures it is taking steps to support and celebrate the diversity of our kids, and youth. Unfortunately the BC government has not acted on his recommendations, continues to work with school boards that are showing leadership on this issue and is hopeful that progress is being made. Introduced legislation to ensure transgender individuals are explicitly protected in BC’s human rights code and called on the B.C. government to ensure that all health authorities in the province have transgender health programs. A strong supporter of BC’s creative economy. He worked with film, TV, and BC book publishers to encourage the BC government to increase their support for this vital sector of our economy. Through continuous advocacy, the creative sector were successful in having Creative BC, BC’s main industry advocate and support agency established. Tourism is a very important industry to BC, and to the West End. A strong friend to the industry, and led the successful fight in the legislature for the establishment of an industry led tourism marketer in BC. Destination BC was established in 2013, and has been marketing BC internationally and nationally ever since. Advocating for Wild Salmon: Introduced a Private Members Bill to have the pacific salmon declared as BC’s provincial fish, in order to champion the protection of this threatened species. He was ultimately successful as the government has now declared salmon to be our provincial fish. Restoration of gaming grants: Led the fight in the legislature to get the BC Liberals to honour agreements they had signed with thousands of charities who receive multi-year gaming funds. After much outcry the government folded and gave $20 million back to charities. Worked with a coalition of arts groups to get $7 million restored to the BC Arts Council. Promoting the West End business district: Sat on the West End Business Improvement Association’s Marketing Committee and is working to ensure that local businesses are promoted and marketed to the benefit of our community. Continues to speak out about the need to address the root causes of homelessness and has participated in the Vancouver Homeless count for the past years. He Fought to open the West End’s first homeless shelter by pulling together a coalition of community groups here in the West End to work with the City ito find an suitable location for a shelter, and to press the province for resources. These efforts succeeded and the West End had a shelter operating for 2 winters. Pushed for the aggressive combating of Hate Crimes: After much advocacy to the Attorney General, successfully lobbied to have the policy changed so that attacks which appear to be motivated by hate must be prosecuted as such. Previously it was up to the prosecutor’s discretion and in a number of cases, including Aaron Webster’s, this was not done. Anti-scalping legislation: Introduced a Private Members Bill that would make it illegal for Ticketmaster to resell tickets on its own partner websites at much higher prices thereby gouging ticket sellers. 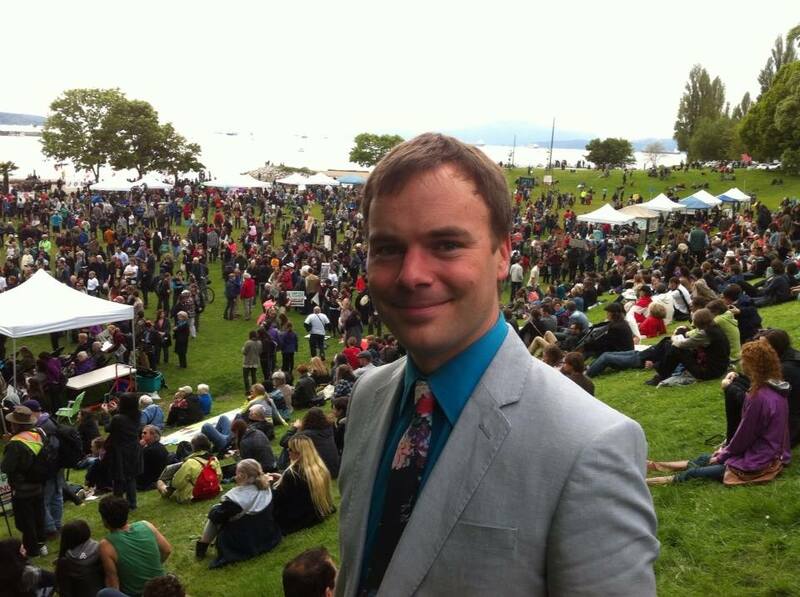 Prior to being elected as the MLA for Vancouver – Burrard in 2008, Spencer served as an elected Vancouver Park Board Commissioner from 2005-2008, where he worked to improved environmental sustainability in Vancouver’s Parks, and accessibility to programs for youth, and low income people. Before becoming an MLA Spencer was an award winning artist, and arts producer working primarily in theatre and dance. He was the associate producer of the United Nations World Urban Festival. 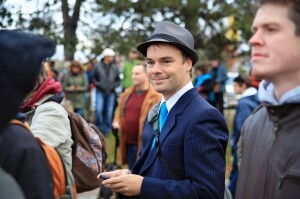 He holds a Bachelor in Fine Arts from Simon Fraser University. Born and raised in Vancouver, Spencer lives in the constituency with his husband and their son.